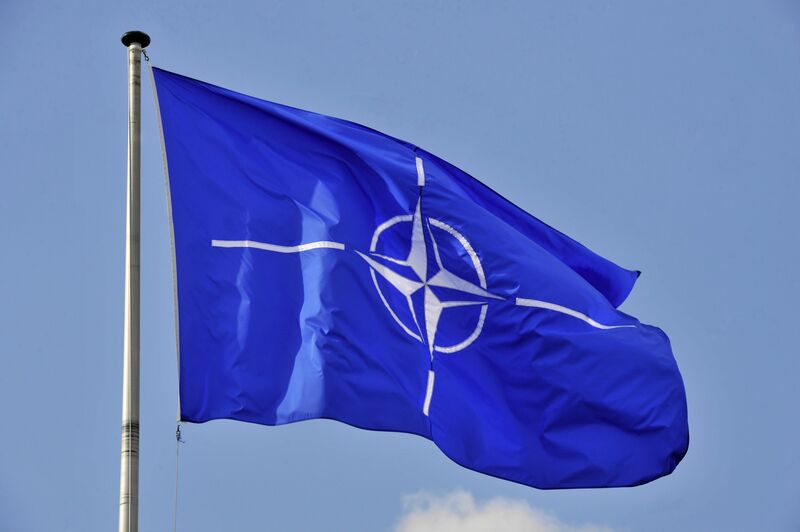 The NATO flag in the wind at the NATO headquarters in Brussels. In the past hundred years, many attempts have been made to foster closer unity between Finland and Sweden. Although our histories differ from each other, today we share many basic background factors in our security policies. We are mutually dependent, and each country’s security policy choices have direct consequences for the other’s. However, there are still key differences in our perspectives – and, perhaps also in our interests – differences that can best be identified through an open discussion between our two countries. Finnish and Swedish security policies both focus on military deterrence, which rests on each country’s own national defense capability, wide multinational security networks and bilateral military cooperation with other countries. Cooperation is a necessity in today’s security situation, in which Russia has challenged the existing European security order and shown its willingness to use military force for political ends. In doing so, Moscow has blatantly violated international law as well as the principles of the OSCE that it itself negotiated and ratified. Since Russia continues to build up its military strength and threatens its neighbors with nuclear weapons, its smaller neighbors therefore look for support from stronger nations to be able to maintain military deterrence against potential Russian aggression. In this situation it is obvious that the previous policies (“neutrality” or “military non-alignment”) no longer correspond to new realities. Both Finland and Sweden are now openly seeking more support from each other and from several NATO members, particularly the United States. Today, Finland and Sweden are engaged in a form of mutual military cooperation that is not a formal military alliance but that goes – or, so it is said by leading politicians – beyond normal peace-time cooperation. In addition, both countries are developing ever closer ties with NATO and its member countries, not least through the Host Nation Support agreements (HNS) that both Finland and Sweden have signed and ratified with the Alliance. For both Finland and Sweden, the most important connections – as both countries’ political leaders acknowledge and support – are transatlantic ties. Both Finland and Sweden have signed agreements with the United States in order to deepen military cooperation with that country further. In May 2018, a trilateral Statement of Intent (SOI) was issued by the US Secretary of Defense and his Finnish and Swedish counterparts, signaling the three countries’ commitment to strengthening military cooperation. Moreover, military cooperation with the United Kingdom will be deepened after Brexit. From a military point of view, the Nordic-Baltic region is a single strategic area. The impact of Russian aggression against any Nordic or Baltic country would surely also be felt in Finland and Sweden; accordingly, our policy toward Russia should continue to be based on credible deterrence. It is important and welcome to note that Finland and Sweden will keep strengthening their national defense no matter what geopolitical changes take place in the next few years. Nevertheless, the best way for both Finland and Sweden to deter Russian aggression in the Baltic Sea region, while at the same time bolstering their own defense, is membership in NATO. Membership would also significantly benefit Nordic cooperation, as all five states would then form an important regional pillar in the Western defense system, thereby strengthening stability in the Baltic Sea region while also benefiting the Alliance as a whole. Joint military exercises among Finland, Sweden, and several NATO members have already turned out to be highly important. Last fall, Sweden organized the Aurora 2017 exercise, Norway will host Trident Juncture in fall 2018, and the Finnish government has decided to hold a major international exercise in 2021, in combination with its main national exercise that year. In these exercises, the national military units and their staffs are learning to cooperate with each other both tactically and operationally. However, to learn how to operate in rapidly changing circumstances, one needs meticulous planning and well-thought-out exercises. This is currently not possible in Finland and Sweden, where the main emphasis is still on military non-alignment. Such planning is also impossible to organize after a conflict has already broken out. Therefore, bilateral arrangements for cooperative measures among non-allied countries will work only in peace-time. They do not provide for binding defense guarantees, and are not even meant to form a basis for mutual operational defense planning. Conversely, NATO is a natural framework for such planning. Finnish and Swedish participation in NATO defense and force planning would benefit not only the two countries’ national defense but would also enhance deterrence in the Baltic Sea region in general. It would be especially important for such planning to include the Arctic region, where the Russian military activities seem to be increasing. At times one hears the argument that since Russia views potential Finnish and Swedish NATO memberships as a threat, joining the Alliance would constitute a fundamental change in the security policy situation in the Baltic Sea region and lead to increased political and military tensions. However, such claims should not be taken at face value, but instead to represent a Russian attempt to maximize the country’s military freedom of action in all possible situations. In fact, the “fundamental change” in the region has already happened, as noted above. Both Finland and Sweden are already deeply engaged in wide-reaching military cooperation with NATO as an organization, as well as with several individual NATO members, and furthermore are also active in developing defense cooperation within the European Union. This ultimately means that in the eyes of Russian policymakers the military non-alignment status of Finland and Sweden is hardly credible. Instead, Russia regards both countries as an established part of the West – and would perceive us as such in any conflict situation. Again, this means that the status of military non-alignment has lost its original purpose. With the combined military capability that Finland and Sweden would bring to NATO, the Alliance’s deterrent capability would grow significantly. It is possible that Russia’s immediate reaction to this development would be a momentary irritation once it became clear to the Kremlin that it had lost its military freedom of action to attack its neighbors without being drawn to war against the Western world as a whole. After some time, however, Russia would most likely grow to accept the new situation, which would be significantly more stable than the present one. It is, therefore, in the interest of peace and stability that Finland and Sweden – already so closely integrated with the rest of the Western world both economically and politically – should integrate themselves militarily as well.